Sicily and the whole of Italy was horrified on this day in 1947 when gunmen opened fire on defenceless peasants gathered for a Labour Day celebration in the hills above Palermo, killing 11 and wounding more than 30 in what became known as the Portella della Ginestra Massacre. 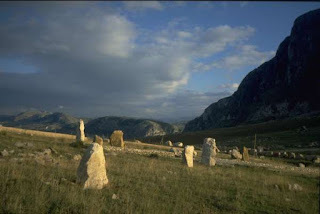 The victims included four children between the ages of seven and 15, who were cut down indiscriminately by a gang of men, some on horseback, who appeared suddenly and began firing machine guns as the peasants, numbering several hundred, congregated on a plain along a remote mountain pass between the towns of Piana degli Albanesi and San Giuseppe Jato, where a Labour Day rally had taken place every year since 1893. 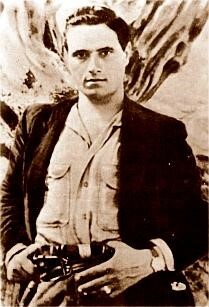 Salvatore Giuliano, an outlaw wanted in connection with the killing of a police officer in 1943, was held responsible although many people believed that Giuliano and his gang of bandits were set up as scapegoats in a conspiracy involving the Mafia, wealthy landowners and politicians. The outrage came only 10 days after a surprise victory by the so-called People’s Block - a coalition of the Italian Communist Party and the Italian Socialist Party - in the elections for the Constituent Assembly of the autonomous region of Sicily, defeating the Christian Democrats, the Monarchists and the right-wing Uomo Qualunque party. The conspiracy theory arose for a number of reasons, one being that the Communist leader in Sicily, Girolamo Li Causi, had pledged to redistribute large land holdings, restricting any one landowner to no more than 100 hectares (247 acres), which had provoked fury among Sicily’s legitimate large landowners and, naturally, within the Mafia. The other was that politicians in mainland Italy feared that the Communist victory in Sicily would be a tipping point for the whole nation. The Communists were gaining ground elsewhere and with an election due in October the Christian Democrats, under pressure from American interests in particular, were desperate to keep Italy from moving to the extreme left. A third reason to suspect a political motive, a much more straightforward one, was that Giuliano, previously regarded as something of a Robin Hood figure, stealing from the rich to help the poor, was also the self-styled leader of a loosely organised Sicilian separatist movement, to which Li Causi was opposed. Tensions escalated when Mario Scelba, the Christian Democrat Minister of the Interior, told parliament only the day after the massacre that the police in Sicily had already determined that the killings had no political element. This provoked a debate so heated that it descended into a brawl involving up to 200 deputies from the left and the right. Giuliano remained in hiding but sent messages protesting his innocence, claiming he had been hired simply to fire shots in the air as a scare tactic designed to intimidate rather than to wound people, but that under cover of this ‘attack’, others had carried out the massacre. 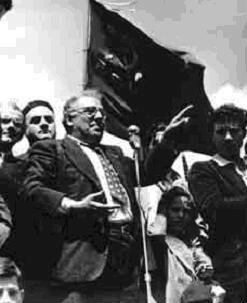 This prompted Li Causi, addressing a rally at Portella della Ginestra on the second anniversary of the massacre, to challenge Giuliano to name names. In a written reply, Giuliano refused. Li Causi responded by urging Giuliano not to trust the politicians or landowners to protect him, suggesting that “Scelba will have you killed", to which Giuliano responded by saying: "I know that Scelba wants to have me killed; he wants to have me killed because I keep a nightmare hanging over him. I can make sure he is brought to account for actions that, if revealed, would destroy his political career and end his life." In the event, Giuliano was indeed killed, supposedly by Carabinieri in a gun battle in Castelvetrano, a town in the south-west of Sicily, where he had taken refuge in a Mafia stronghold, just as the trial of the accused in the Portella della Ginestra massacre was beginning in Viterbo in Lazio. After an adjournment, the trial began in earnest in 1951. When it concluded it was ruled that no higher authority had ordered the massacre, and that the Giuliano band had acted autonomously. This was despite the testimony of Giuliano's lieutenant, Gaspare Pisciotta, who named several politicians, including Scelba, and senior policemen as being behind the massacre. Under oath, Pisciotta claimed that shortly before the massacre, Giuliano had read out the contents of a letter, which he immediately destroyed, informing the gang that all charges against them over the 1943 murder and other crimes would be dropped in return for carrying out the killings. He also claimed to have killed Giuliano himself, on behalf of Scelba, and that the gun battle was a fabrication. Much of this testimony, however, came in the course of incoherent outbursts and when the prosecution made reference to internal conflicts within the Giuliano gang, Pisciotta was dismissed as an unreliable witness. He and 11 others were sentenced to life imprisonment. Four bandits received shorter sentences and 20 were acquitted, although many of those freed subsequently disappeared or were killed. 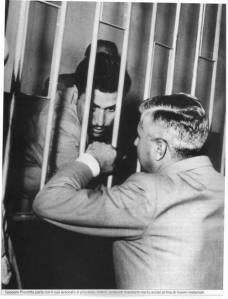 Pisciotta was poisoned in his prison cell in 1954. 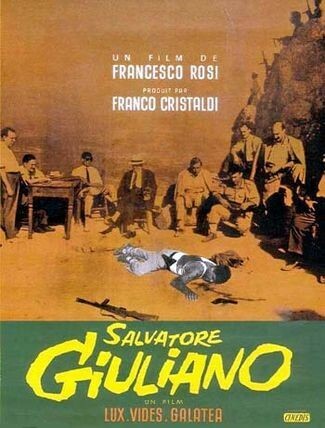 The story of the massacre was the subject of an award-winning 1962 film, Salvatore Giuliano, directed by Francesco Rosi, and a 1986 opera by Lorenzo Ferrero. 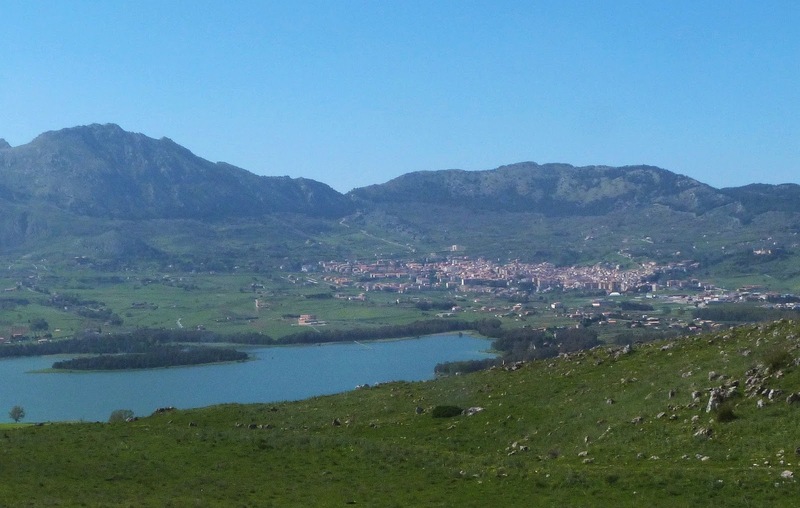 Piana degli Albanesi, as the name suggests, is an important centre for the Albanian population of Sicily, having been founded in the 15th century by Albanian refugees driven out of the Balkans during its conquest by the Ottoman Empire. The 6,000-strong community has maintained many elements of Albanian culture, including language, religious ritual, traditional costumes, music and folklore. There are a number of Albanian churches, including the Cathedral of St Demetrius Megalomartyr and the church of St George, both built in the late 15th century. The town overlooks a lake of the same name.